The fire on board the nuclear submarine the USS Miami might make it into the Guinness Book of Records as the most expensive caused by a household appliance. A preliminary investigation has found a vacuum cleaner was the cause. The May 23 blaze at a Navy yard in Maine destroyed the nose section of the sub, including the forward torpedo room, crew and officers quarters. 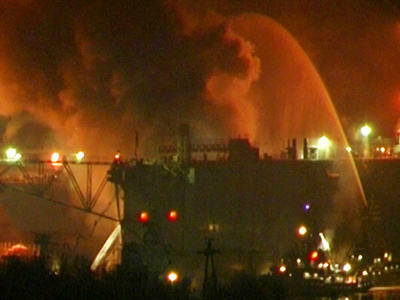 The fire raged for 10 hours before it was extinguished. Seven fire fighters and crew members received minor burn injuries. 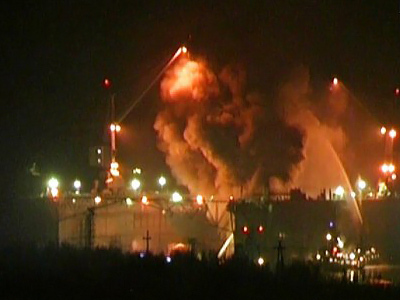 A column of smoke was visible from miles around. At the time the sub was stripped of all ammunition for maintenance and the nuclear reactor was shut down, so nearby residents in Portsmouth were not affected. According to preliminary estimates the fire caused $400 million worth of damage to the submarine, and another $40 million to the dockyard. The US Navy is due to give a final estimate later this month. 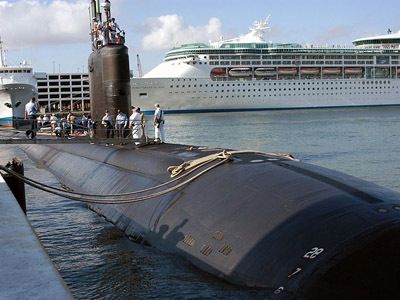 The USS Miami (SSN-755) is a Los Angeles class attack nuclear submarine and was commissioned in 1990. At the time it cost some $900 million to build. Its crew consists of 13 officers and 120 sailors. The 110 meter sub is armed with anti-ship Harpoon missiles and Tomahawk cruise missiles. Its submerged cruise speed is 32 knots. It is believed the damaged sub will be repaired, probably because replacing it with a more modern Virginia class submarine will cost $2 billion. A similar incident occurred on December 29, 2011, onboard Russian strategic nuclear submarine Yekaterinburg in a shipyard in Murmansk region. 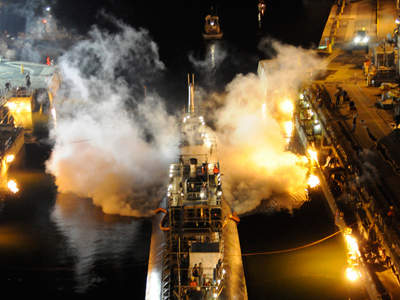 A fire caused by welding burnt the sub’s resin coating on the nose and completely destroyed the sonar antenna. Unlike in the American case, Russian sub was an ICBM carrier and was fully armed with intercontinental ballistic missiles and torpedoes. The fire caused no casualties and the sub will be returned to service once new sonar is installed and the silencer resin coating restored.